Personal taxes on dividends can profoundly affect a firm's choice between paying dividends and repurchasing shares. Because the pretax proceeds from both strategies are equal, the only difference between the two methods of cash distribution is the amount of the tax liability generated by each. 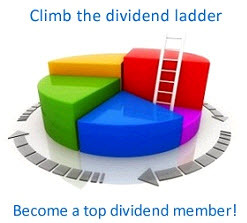 The Tax Disadvantage of Dividends. Exhibit 15.4 details the immediate tax consequences to an individual investor, if a firm chooses to distribute $100 million in the form of a dividend versus distributing $100 million as a share repurchase. It assumes that the investor currently owns 10 percent of the outstanding shares and plans on maintaining the 10 percent ownership. It also assumes that the shares, if repurchased, will be repurchased at a price of $50 a share and that they were originally purchased at a price of $38 a share. It uses 35 percent as the tax rate on dividends and 20 percent as the tax rate on capital gains. 6Until 1982, the tax on dividend income in the United States could be as high as 70 percent while capital gains were taxed at 50 percent of the ordinary rate. With the passage of the Tax Equity and Fiscal Responsibility Act of 1982, the maximum tax on dividends fell to 50 percent and that on capital gains was reduced to 20 percent. Since 1987, the maximum tax rate on dividends has fluctuated between 33 percent and 39.6 percent, while the rate on capital gains has fluctuated between 20 percent and 28 percent. Under the 2001 tax bill, the highest rate on ordinary income is scheduled to decline in increments to 35 percent by 2006.
of the dividend when a dividend is paid, making the future capital gains lower for shareholders who purchased stock prior to the dividend. However, the total amount paid in taxes (and its present value) is still considerably lower with the repurchase alternative. • The difference between the capital gains rate and the tax rate on ordinary income. • The tax basis of the shares—that is, the price at which the shares were purchased. • The timing of the sale of the shares (if soon, the gain is less, but if too soon, the gain may not qualify for the long-term capital gains rate). Consider The Following Two-factor Model For The Returns Of Three Stocks. Assume That The Factors And Epsilons Have Means Of Zero.